Research in Motion plans to lay-off over 2,000 staff this Friday, according to reports in the company's Canadian homeland. The Globe and Mail says the Waterloo, Ontario-based company will make the cuts on June 1 as it struggles to cope with quarterly losses and diminished demand for BlackBerry smartphones. With around 16,500 employees worldwide, the cutbacks would represent around 12 per cent of its total workforce and would echo the 2,000 jobs it shed last summer. The job cull "will sweep across departments, ranging from senior positions in RIM's legal division to human resources, finance, sales, and marketing," according to the report. The ailing smartphone giant has also seen a dramatic shake-up at the top in recent months, with co-CEOs Jim Balsillie and Mike Lazaridis stepping aside and Thorsten Heins taking over. There has also been several high profile executive departures as the reality of the company's current plight has set in. 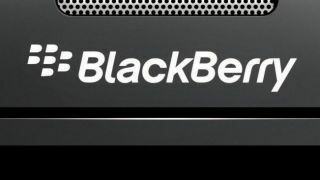 RIM is placing its faith in handsets running the forthcoming BlackBerry 10 operating system, which it hopes will halt the iPhone and Android-induced slide into smartphone obscurity. RIM is yet to comment on the story.